With owning a home, there are many things that you may need to worry about. From paying the monthly bills, to furnishing a home, chances are there will be many things that will keep you busy as a homeowner. A worry for many homeowners is the idea of a gas leak, as gas leaks are usually colorless, as well as sometimes odorless, so you will need to know when a gas leak occurs without judging on smell or sight. In order to ensure safety when dealing with a gas leak, there are some steps you should follow in the aftermath of such. How Do I Know There Is A Gas Leak? When a gas leak occurs, there are some things you keep in mind in order to know that one is happening. While some gas companies will add a “rotten egg” smell to the gas leak in order for it to be an indicator, not all companies will add this, or sometimes this smell isn’t as powering as it should be. When a gas leak does occur, chances are you will hear a hissing sound, indicating that the pipes are broken. The pipes usually produce this sound once they are leaking, in this case, it would be gas. 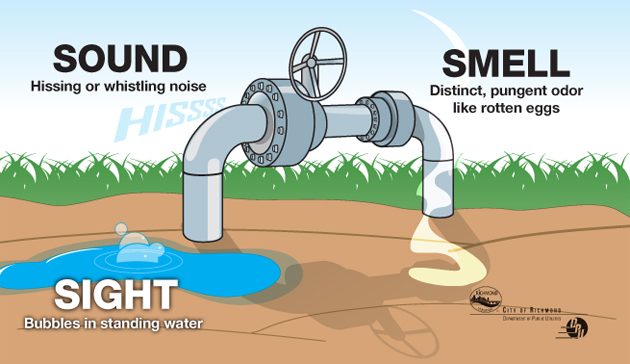 Other strong indicators of possible gas leaks are dead vegetation or grass spots that are usually alive, as well as cracks in the dirt that are around the pipe. If you think a gas leak is occurring, it is time that you know what steps you must take in order to deal with it. So A Gas Leak Is Occurring… What Do You Do? 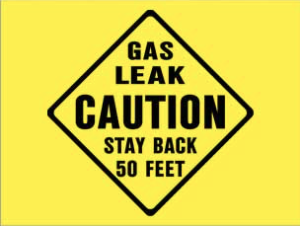 After you have decided that a gas leak may be occurring, it is time you act quickly. If you treat a gas leak like it is no big deal, or if you try to fix the problem yourself, there would be disastrous consequences of such actions. In the case of a leak, do not USE ANY energy sources, like phones, stoves, etc. Instead leave your home immediately, and go to a safe distance that is away from a potential explosion radius. After you have gotten far enough away from the home, you should call your gas company, and allow them to deal with the problem themselves. After the situation has been handled, you can now invest into potential gas detection leaks services, detections that can save your life in the future. Where Does Knoxville Plumbing Come In? Knoxville Plumbing provides a wonderful service that is matched by few plumbing companies around the area. We provides many services that are served in the highest of professionalism and quality. Knoxville Plumbing is also good with gas leaks, as they have knowledgeable technicians who know much about gas leak repairs and installations. Knoxville Plumbing provides emergency plumbing as well, so you don’t have to wait until the next day to get your plumbing needs taken care of. We have a very quick 24-hour service, and they service all brands of products. The team under Knoxville Plumbing is made up of several experts, plumbers who have experience and who know how to talk to customers correctly. Gas leaks can be a very serious, as well as scary, thing to deal with, but fortunately with Knoxville Plumbing you shouldn’t have much worries. Not only can we deal with leaks, but we can also detail steps for you in preventing them from occurring again. 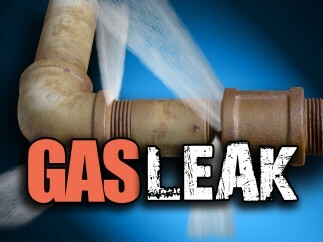 We can also let you know of exact indicators of potential gas leaks in case you ever come across such situations.